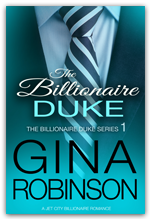 The Billionaire Duke Series is four books and features Riggins Feldhem, the Jet City billionaire first introduced in the Switched at Marriage series, and Haley Hamilton, a baker. The story is set in the Jet City of Seattle, and England. 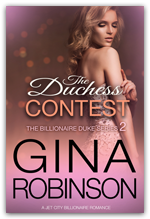 The series is part of the Jet City Billionaires series in the Jet City world. The first three novels end in cliffhangers and all four must be read in the order shown.